The Nintendo 3DS family of systems has spread steadily worldwide, surpassing a total sell-through of 63 million units of hardware. We will continue to work to make sure our business leverages this installed base by providing consumers with software. action Hey! Pikmin will be out on Nintendo 3DS as the first Pikmin game on a handheld system. This year is also Kirby’s 25th anniversary. We will be releasing the Kirby titles you see here. Note: In the U.S. and Europe, Ever Oasis and will be released on June 23, and Hey! Pikmin will be released on July 28. These are first-party games that were released by Nintendo in Japan and games developed and sold by publishers in Japan that will be distributed by Nintendo in the American and European markets. This slide shows announced titles from third parties in Japan that will have already released as of April 2017 or that are planned for release through fall of this year. As you can see, we have a rich lineup of games planned for Japan again in this fiscal year. Also, Square Enix recently announced that the latest entry in the Dragon Quest series, Dragon Quest XI: Sugisarishi Toki o Motomete, will be released in Japan in July, around the time of the launch of New Nintendo 2DS XL. In this way, we are working to maintain momentum in the Nintendo 3DS business by introducing new titles and continuing to offer evergreen titles while launching New Nintendo 2DS XL to expand the available selection of hardware in the Nintendo 3DS family of systems. 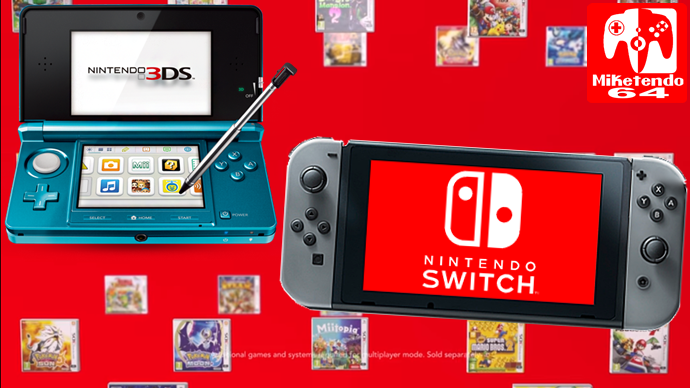 We will strive to utilize the large installed base of the Nintendo 3DS family of systems in our business to maintain the momentum we have regained over the last year. playstyle. We will run businesses separately and in parallel. We have also already stated that we think it is critical that we provide software unique to Nintendo 3DS in order to run both the Nintendo Switch business and the Nintendo 3DS business in parallel.